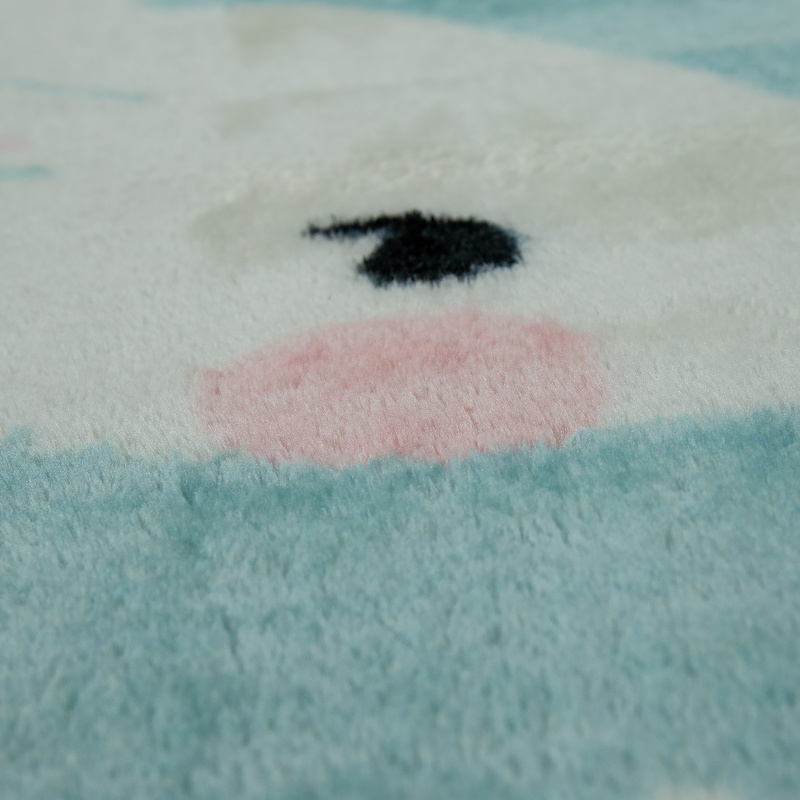 With its cute bunny look, this equally robust and easy to care for play rug embellishes any children's room. 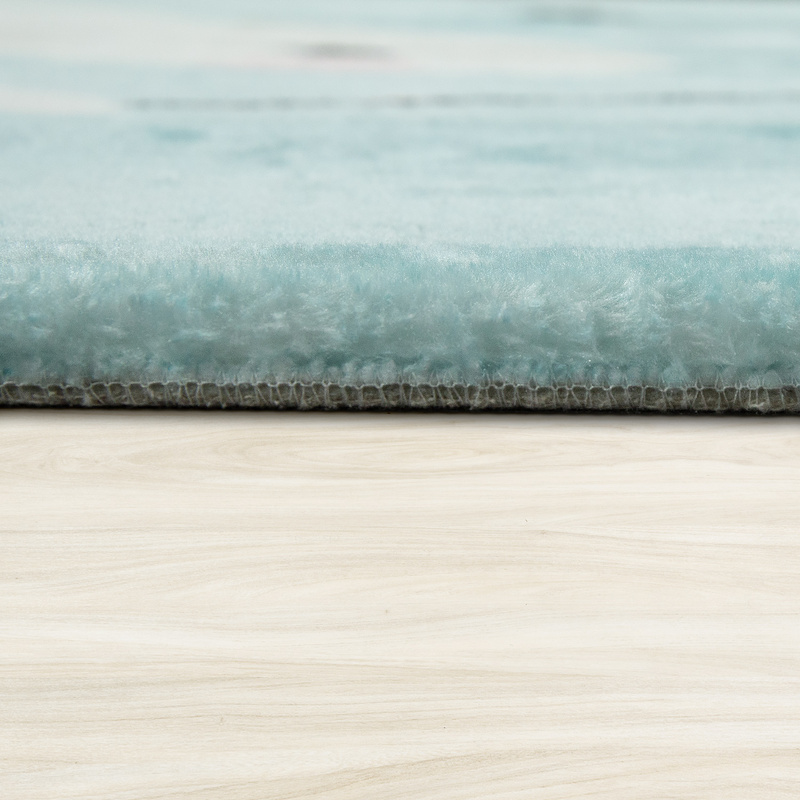 The velvety soft surface of the turquoise children's rugs is hand-tufted from 100% polyester and has a pile height of 12 millimetres and a weight of 1200 grams per square metre. 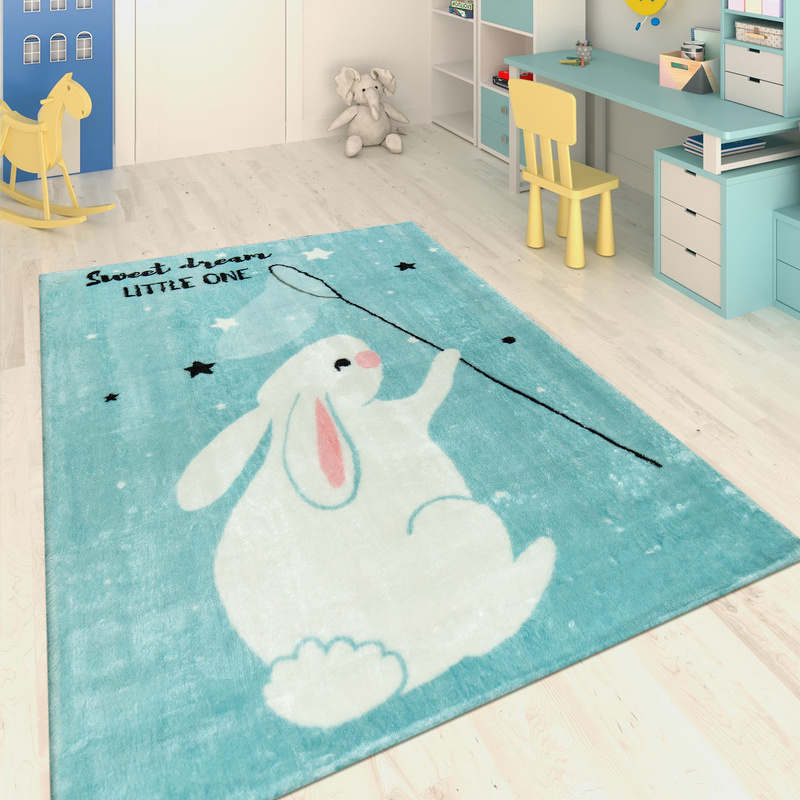 Fine mottling with a shimmering effect beautifully accentuates the imaginative motif of this enchanting floor covering and promises sweet dreams with the phrase "Sweet dreams, little one". For the selected size, the rug is folded for transport. Please note that the rug must lay down for about 3 - 7 days, after unpacking the item.